After weeks of wild speculation, Marvel and Sony finally announced Tom Holland will be the new Spider-Man in the Marvel Cinematic Universe and Jon Watts will direct the next standalone film for the web slinger. We expect that Holland will also appear as Spidey in next year's Captain America: Civil War. 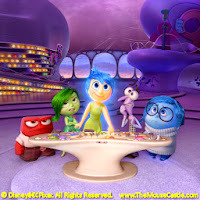 In other movie news, Inside Out couldn't beat Jurassic World at the box office over the weekend, but that didn't stop it from scoring the second biggest opening in Pixar history. I give my review of the Pete Docter-directed film while Anthony and I get in touch with our emotions in this week's episode of Inside The Mouse Castle. Maleficent made over $750 million worldwide last year. So, umm, yeah, there's going to be a sequel. Linda Woolverton is currently penning the script. No confirmation yet whether Angelina Jolie is on board, but come on, why wouldn't she be? 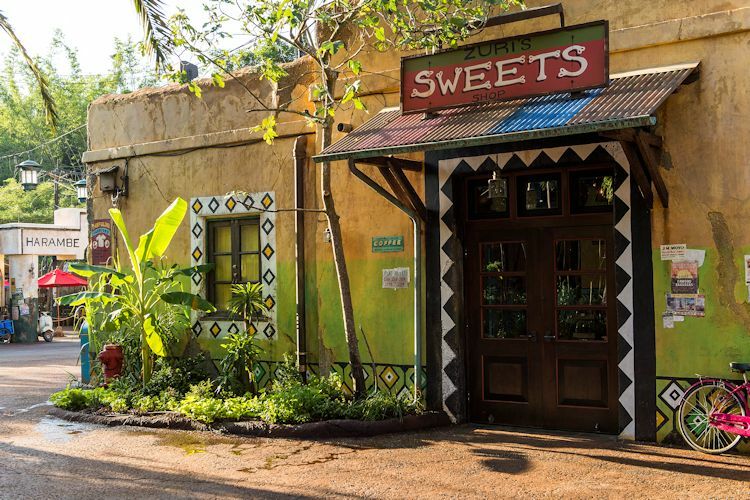 Zuri's Sweet Shop has opened at Disney's Animal Kingdom and it's serving poop candy. That's really all you need to know. Zuri's Sweets Shop at Disney's Animal Kingdom. Also at Animal Kingdom, Starbucks has opened up shop. 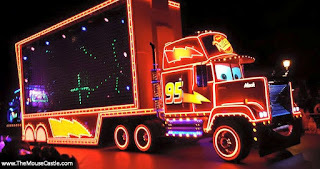 Meanwhile, down the road at the soon-to-be demolished Walt Disney World Speedway, we've learned that the space is destined to become a parking lot. Our condolences to the family and friends of JoAnn Dean Killingsworth, who passed away Saturday at the age of 91. 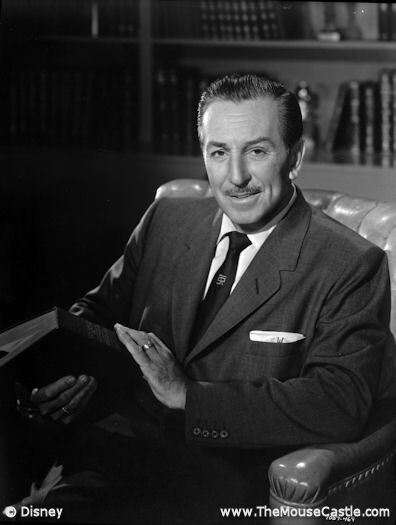 The long-time actress and ice skater was an original Disneyland employee in 1955 and the park's first Snow White. Historian Didier Ghez is a good friend of The Mouse Castle and we're very excited about his upcoming book, They Drew as They Pleased: The Hidden Art of Disney's Golden Age . 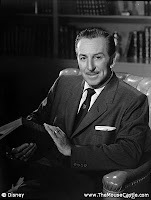 It's the first in a series of books Didier is writing about the great concept artists of the Walt Disney Studios. It will be out on September 8th. Disney and musical artist Deadmau5 have settled their legal differences over Deadmau5's performance headgear, which bears a striking resemblance to a certain cartoon mouse. The terms of the settlement have not been released (and probably won't be), but the two sides are now playing nice. 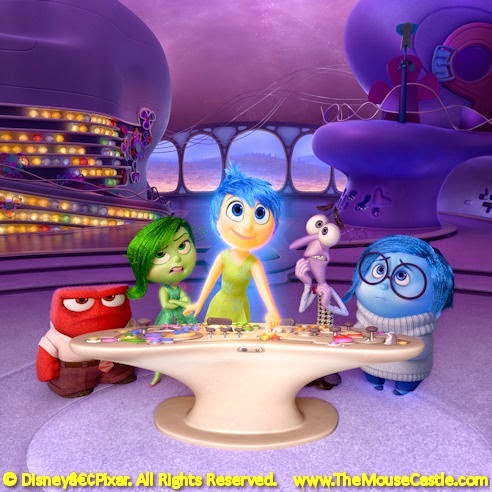 Inside Out had its Hollywood premiere last week, gearing up for its U.S. wide release this Friday. On this week's episode of Inside The Mouse Castle, we hear from the film's director, Pete Docter, and the some of the voice cast including Amy Poehler, Bill Hader and Lewis Black. I expect Pixar's journey into the mind of an 11-year old girl to be a sure-fire hit while Anthony thinks the film, as good as the early reviews are, is going to under-perform at the box office. It won't do as bad as Tomorrowland, though, not by a long shot. The Brad Bird film starring George Clooney is having a dismal run in theaters and could put Disney in the red $140 million or more. In the story that won't die, is Asa Butterfield really out of the running to be the next Spider-Man? Are Tom Holland, Charlie Plummer and Matthew Lintz the new favorites? Who knows? Because apparently Marvel and Sony can't agree on anything concerning the franchise. We now know the voice cast for Pixar's The Good Dinosaur. After a series of production delays, including a director change and a reworking of the story, the film will open in the U.S. on November 25th. Have you seen the new teaser trailer for Zootopia yet? I think it looks cute. Anthony, not so much. 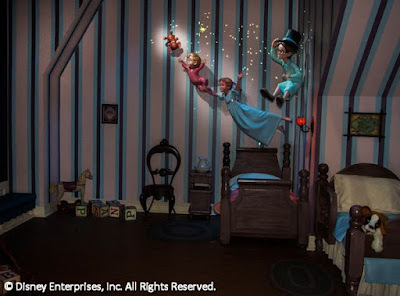 Frozen Ever After concept art. 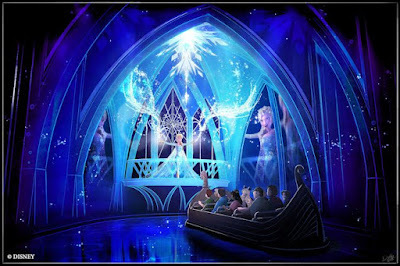 Frozen Ever After is coming to Epcot's Norway pavilion next year, taking over the space once occupied by Maelstrom. Guests will be able to experience a "Winter in Summer Celebration" courtesy of Queen Elsa in the kingdom of Arendelle. 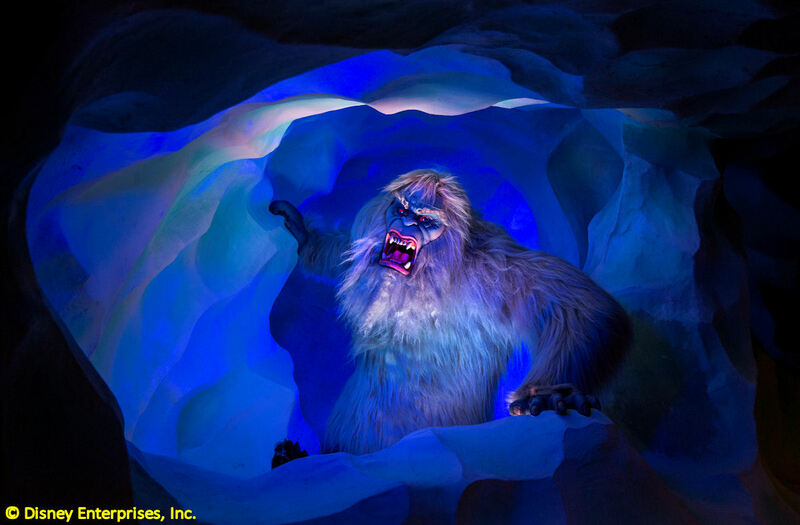 That includes a trip to Elsa's ice palace (see above). Two new restaurants are coming to the Disney Springs (aka the revamped Downtown Disney at Walt Disney World): The Edison and STK Orlando. It's the latest in a long list of new shopping and dining establishments added to the area. Is it starting to be too much of a good thing? Disney Springs is a far cry from the quaint Lake Buena Vista Shopping Village us old-timers remember from the 1970s and 80s. Star Wars will be in Hall H of this year's San Diego Comic-Con. Marvel will not. Next. 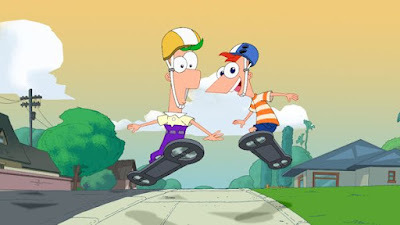 Goodbye, Phineas and Ferb. We'll miss you. Well, we'll be missing new episodes. I'm sure you'll be rerunning on Disney Channel and Disney XD for a long time to come. J.K. Simmon is joining the voice cast of Gravity Falls. We hope he doesn't throw a chair at Grunkle Stan. Jeffrey Wright (The Hunger Games: Mockingjay - parts I & II, HBO's Boardwalk Empire) was tapped as the voice of Poppa, Arlo’s father. A.J. Buckley (TNT’s Murder in the First, FX’s Justified) voices a T-Rex called Nash. Sam Elliott (FX's Justified, I’ll See You In My Dreams, Grandma) was called on as the voice of a tough T-Rex named Butch. Frances McDormand (HBO's Olive Kitteridge, Fargo) was tapped as the voice of Momma, Arlo’s mother. 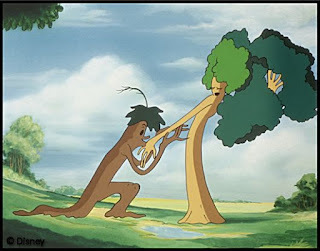 Marcus Scribner (ABC’s black•ish) voices Arlo's brother Buck. 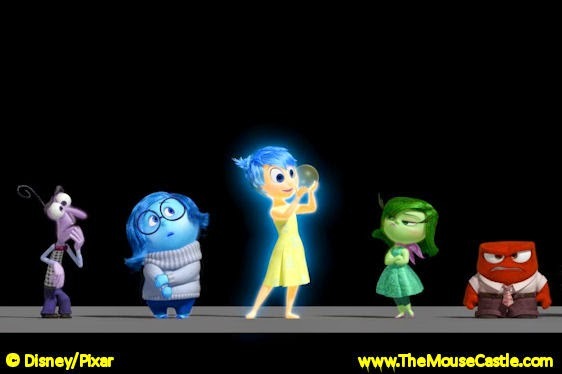 This is the second time Pixar has announced The Good Dinosar's voice cast. Originally, Neil Patrick Harris, Bill Hader and John Lithgow were among the voice talents attached to the project, but story and script changes, not to mention a new director brought in mid-production, caused delays--and changes in the cast. Only Frances McDormand remains from the original cast. The Good Dinosaur playfully speculates what might have happened if an asteroid hadn't wiped out the dinosaurs millions of years ago. The film is directed by Peter Sohn and opens in the U.S. on November 25, 2015. Zootopia is a "modern, civilized world" mostly because humans do not exist. They never have. And so, animals go about their daily lives, upright and fully-clothed. But not everything is perfect. Mortal enemies like, say a conniving fox named Nick Wilde (Jason Bateman) and a police officer bunny named Judy Hopps (Ginnifer Goodwin) find themselves at odds with one other. 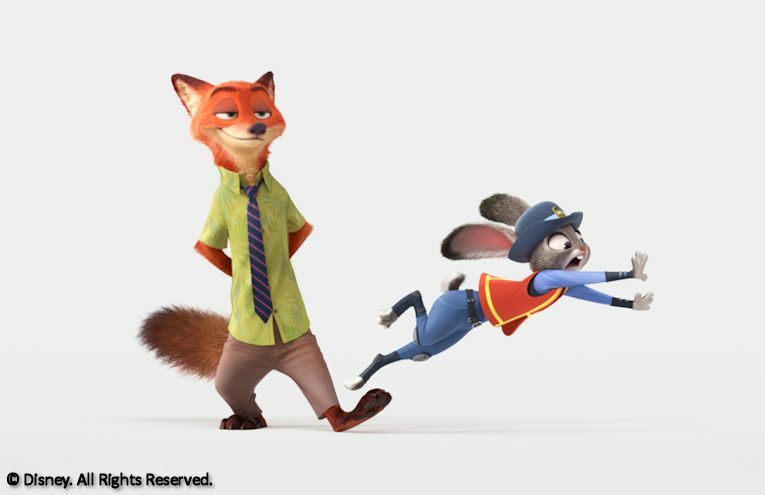 Learn more in the new teaser trailer for Disney's comedy-adventure Zootopia below. Zootopia, from Walt Disney Animation Studios, is directed by Byron Howard and Rich Moore and co-directed by Jared Bush. It will open in U.S. theaters on March 4, 2016. 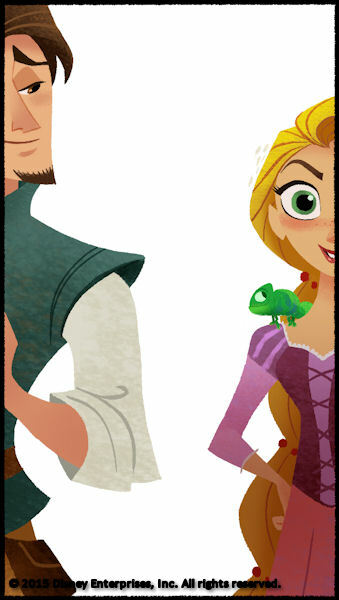 Rapunzel and Eugene...ahem...I mean Flynn Rider...are getting their own show on Disney Channel. Tangled, a new animated series based on the 2010 Disney animated film, will premiere worldwide on Disney Channel sometime in 2017. Returning will be the original voices of Rapunzel (Mandy Moore) and Eugene (Zachary Levi) as well as the film's original songwriters, Alan Menken and Glenn Slater. Animation veterans Chris Sonnenburg and Shane Prigmore are developing the show for Disney Television Animation. The series will take place during the period following the feature film, after Rapunzel returned to her parents in the kingdom of Corona, but before her wedding to Flynn in the 2012 short Tangled Ever After. Episodes will follow Rapunzel's adventures as she tries to adjust to royal life after being locked away in her tower for so long. Most of the supporting characters from the film will appear in the series including Pascal, Maximus and the Snuggly Duckling Pub Thugs. New to the show will be Cassandra, Rapunzel's no-nonsense handmaiden. Disney and Pixar finally gave us a look at their upcoming animated film The Good Dinosaur. 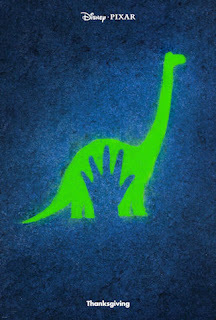 Speculating what might have happened if that giant asteroid hadn't wiped out the dinosaurs millions of years ago, the movie tells the tale of an Apatosaurus named Arlo who develops an unlikely friendship with human child. 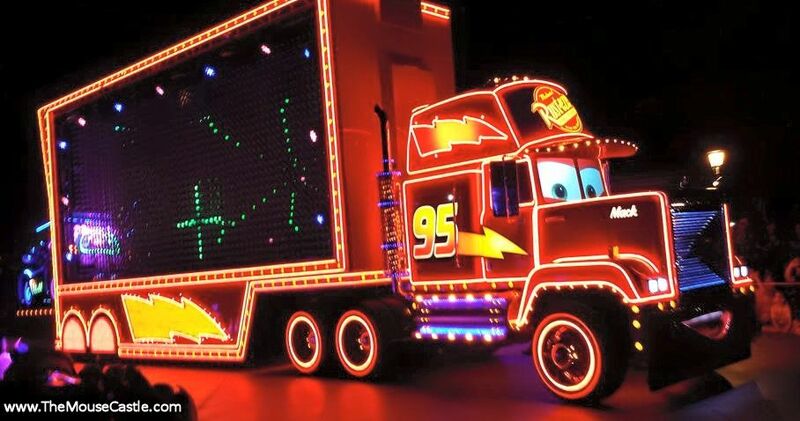 Like most Disney/Pixar teasers, this one doesn't give away much in the way of plot details. The asteroid misses, dinosaurs run around. Although we do get a peek at the child on top of Arlo's head. The Good Dinosaur is directed by Peter Sohn (Partly Cloudy) and will open in U.S. theaters on November 25th, marking the first time Pixar has released two films in one year (Inside Out opens on June 19th).